If indie auteur Joe Swanberg isn’t careful, he’s going to start making movies that people actually see. Up to now Swanberg’s heavily-improvised, generational-specific films have earned him cred on the cinematic fringes (and the irritating label “mublecore”). But last year he made a modest though hugely likable splash with the family dramady “Happy Christmas” — a sign that he may be approaching his cinematic maturity. With “Digging for Fire” he delivers his most mainstream-friendly effort to date…which is not to say that it’s conventional, only that he’s finding ways to finesse his austere signature style. 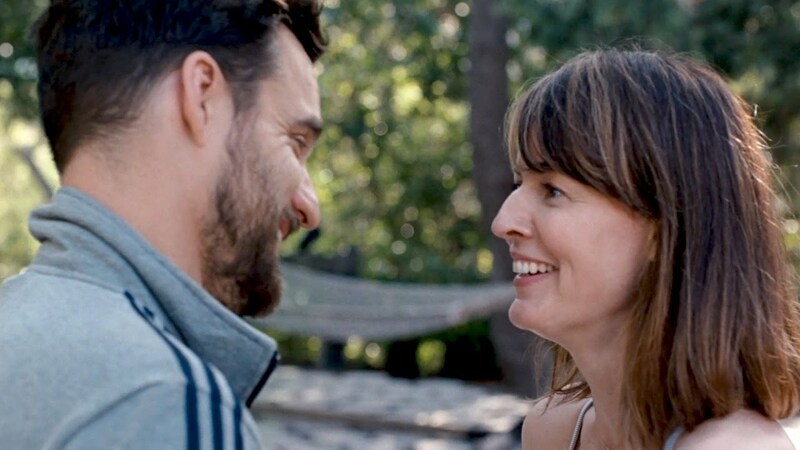 Married couple Tim and Lee (Swanberg regular Jake Johnson, who also co-wrote, and Rosemarie DeWitt) are a struggling L.A. couple with an adorable 3-year-old son (Swanberg’s son Jude, a born actor if there ever was one). He’s a public school teacher. She’s a yoga instructor. A wealthy movie industry friend on a foreign shoot has invited them to spend a couple of months living in her ultra cool house on a heavily wooded slope high in the Hollywood hills. We’re talking swimming pool, hammock, plenty of room for the kid’s tricycle. On their first day in the new digs Tim makes a discovery while walking around the property. From an overgrown hillside he recovers what looks like a human rib and a heavily-rusted cheap revolver. The cops aren’t interested in his find — they’ll only show up for an entire corpse. But Tim is intrigued. Every filmmaker is allowed a few career missteps. Lynn Shelton seems to have spent all hers on just one movie. “Laggies” is…what? An unfunny comedy? An uninvolving drama? Whatever it is, it wastes what looks like a dream cast on a script so wretched you’ve got to wonder what all these talented people possibly saw in it. Shelton is the indie phenom who seemed on the verge of greatness with her 2011 release “Your Sister’s Sister,” a comedy about two sisters’ relationships with the same man marked by long, real-time conversations. Perhaps we should have taken heed when her last effort, 2013’s “Touchy Feely,” vanished without so much as a whimper. Coming-of-age-movies are a dime a dozen, and a plot outline of “The Way, Way Back” suggests just more of the same. But five minutes into this first feature from the writing/directing team of Nat Faxon and Jim Rash (they wrote the screenplay for Alexander Payne’s marvelous “The Descendants”) you’ll realize that something special is at work. This movie is fall-over funny, emotionally resonant (without getting sticky) and astonishingly charitable toward a cast of characters who are, to put it mildly, majorly flawed. 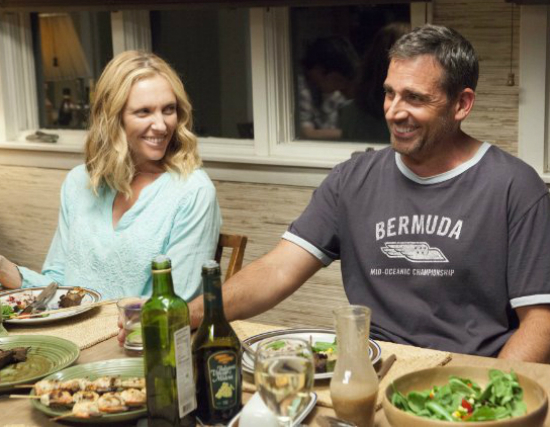 Collette) has taken up with alpha-male car salesman Trent (Steve Carell in a straight role); now Duncan has been shanghaied into a summer at Trent’s beach house on Cape Cod. Also on board is Trent’s high-schooler daughter Steph (Zoe Levin), who cannot mask her disdain for these interlopers. Once installed on the shore Duncan can only observe with silent disgust the behavior of vacationing adults. Trent and Pam seem to party around the clock (after seeing this film you’ll think twice before drinking around your kids), acting like teenagers with Trent’s friend Kip (Rob Corddry) and his hot wife Joan (Amanda Peet).